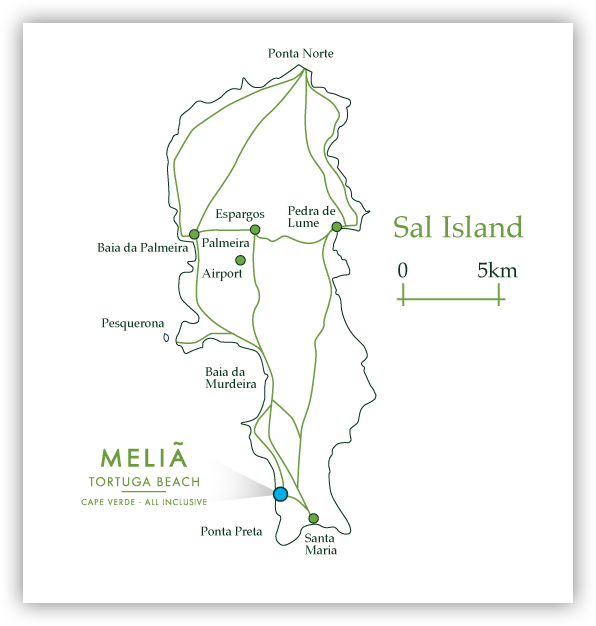 Sal Island is the place to go for white sandy beaches that stretch as far as the eye can see. It’s a beach lover’s paradise, with great water sports, diving, snorkelling, big game fishing and even whale watching. Marine life around the coast of Sal and the rest of the archipelago is high with countless species, including flamboyant tropical fish, dolphins and turtles.